2012 started with a luck storm for some really lucky horoscopes. Here is the list of these lucky horoscopes until the end of this year, 2012. Luck will be with these horoscopes during the year 2012. And they can even bring their luck to the next year 2013 if they want. 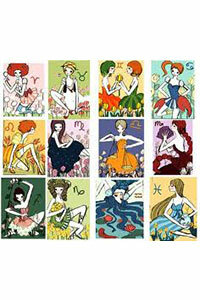 Gemini, Aries, Capricorn, Pisces, Sagittarius, Taurus, Virgo are the lucky horoscopes of 2012. Even if you are lucky this year, be careful to keep your positivity so the next year 2013 can be as good as this year. Believe in yourself and try to go on being a constructive, positive person so 2013 will be as good as 2012 for you again. Leave jealous people around you just be jealous and they will see their own faults and may be they can try to work a lot to reach your success and luck.